The vineyards of Ch. La Fleur-Pétrus lie in three sectors on Pomerol’s famous plateau. Partly, they are just across a narrow road from Ch. Pétrus itself, where they touch another rare Pomerol, Lafleur. An additional plot of adjoining land, planted with old, mainly Merlot vines, was acquired in the mid-1990s. During the 2000s and in 2011, more superbly-placed vines were bought, lying around Hosanna, and also between Trotanoy and Le Pin. 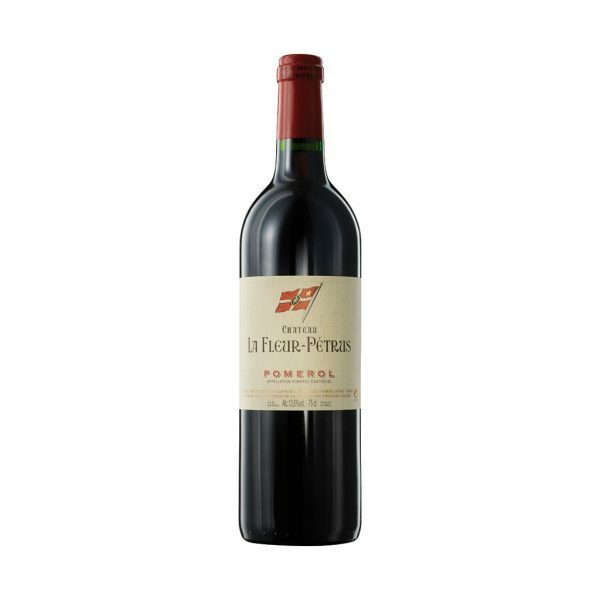 The wine is now made at a state-of-the-art winery in Pomerol village, and La Fleur-Pétrus has greater structure and more concentration than ever before. With its finesse, potential complexity and sensational texture, it is increasingly recognised as one of Pomerol’s archetypal, ultimate beauties. Merlot makes up approximately 95% of this wine, with the produce of some very old Cabernet Francs, and less than 1% of Petit Verdot, the balance. Colour is an impressively deep, rich purple-ruby, the aromas being generous and fresh, with fragrant, complex spiciniess. First impression on the palate is of powerful structure, with sensational concentration. The mid-palate is a solid block of fruitiness, with rich tannins coating the mouth, and plentiful freshness. The wine has its own, imposingly sturdy personality, built for the long haul – yet inherent within it is Pomerol’s incomparable finesse and silkiness. This is a fascinating, great wine (for drinking 2023-2040+). Please do not delay in letting us know your wishes.